Southern State Window Tinting is the leading window tinting company on the East Coast. Southern State Window Tinting is a full service company specializing in retrofitting window tinting for: Residential, Commercial, Government, and automotive window tinting. All window tinting is guaranteed and backed by over 40 years of service. LLumar window tinting is so ruggedly constructed that it resists scratching and is backed by the best warranty in the industry. LLumar, the world’s most respected brand of high performance window film, is manufactured by CPFilms Inc., the world's largest manufacturer of window film. CPFilms is recognized for state-of-the-art research and technology, manufacturing excellence and capacity, comprehensive global distribution, and unsurpassed levels of customer service. With 50 years of experience, CPFilms has the ability to meet the diverse needs of a global marketplace better than any competitor. CPFilms is headquartered in St Louis, Missouri, USA, with production and distribution facilities strategically located around the world. CPFilms is a business unit of Solutia, the global leader in performance materials and specialty chemicals. As 4 billion dollar company traded under SOA on the New York Stock Exchange, Solutia commands a leadership position in each of its product categories. CPFilms has in excess of 700,000 square feet of manufacturing space designated to the production and enhancement of polyester films. 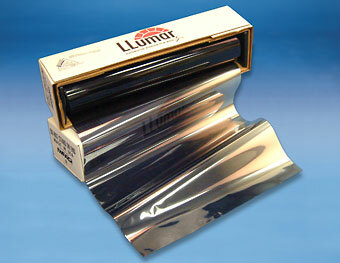 CPFilms state-of-the-art manufacturing processes include deep dyeing, metalizing, sputtering, coating and laminating. All films are produced in temperature- and humidity-controlled, clean-room environments. CPFilms uses patented adhesives, scratch resistant coatings, and UV inhibitors that are known to be the best in the industry. In its quality control labs, CPFilms inspects its products to ensure the highest quality standards are met before any product is shipped to its customers. We are centrally located in Seneca SC, So we can travel from Greer SC, Asheville NC to Atlanta Georgia. As one of the fastest growing cities and economies in the United States, Greenville seems unstoppable. With a growing population of dedicated, hardworking people, what could possibly stand in the way of Greenville’s success? The sun could. At Southern State Window Tinting, we strive to protect Greenville’s residents against the sun’s UV rays with our window tinting in Greenville, SC and the surrounding areas. With over 40 years of experience, our Southern State Window Tinting team has the tools to satisfy all of your window tinting needs. We provide one of the best warranties because we value your business. Trust our services to enhance your indoor space—call 1-877-WHY-TINT or fill out our online form to begin the window tinting process today.